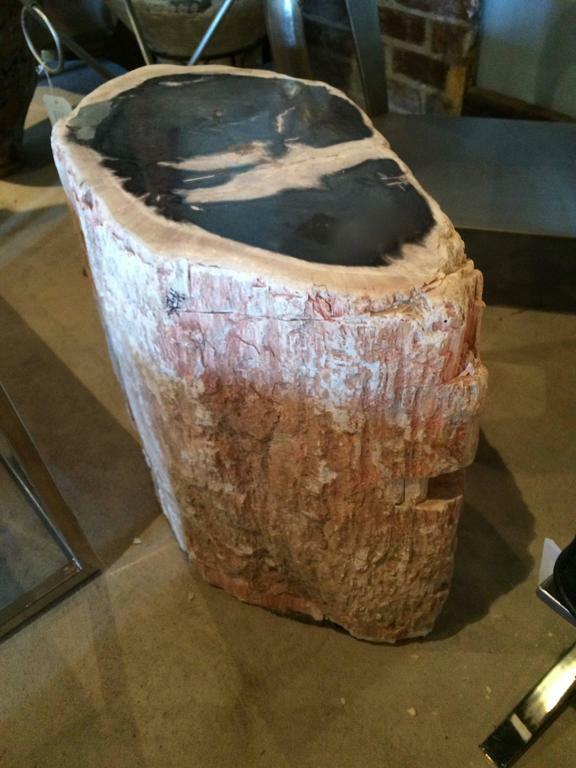 Petrified wood stump, we have pieces in various sizes and colorations. 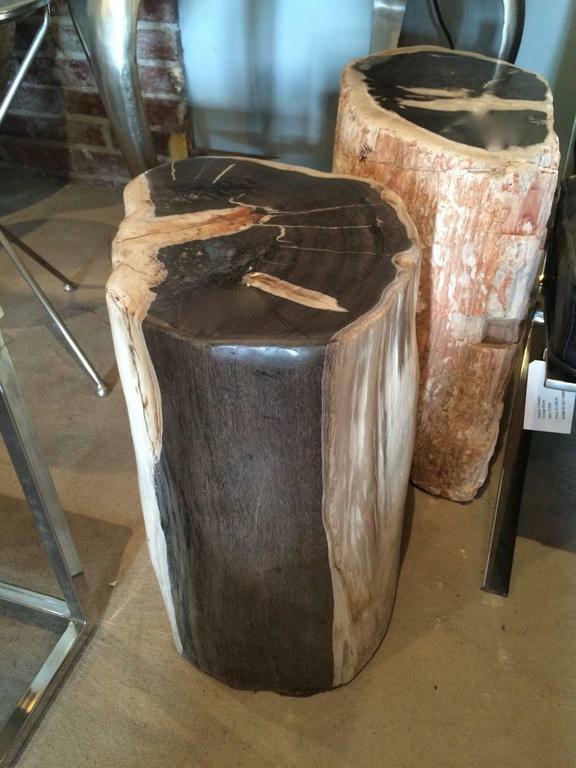 These pieces are a great compliment to the outdoor space as a table or use indoors as well. We also sell many for use inside the indoor or outdoor shower for sitting or storage of your bath accessories. From polished in all beige or cream to variegated in black and beige. 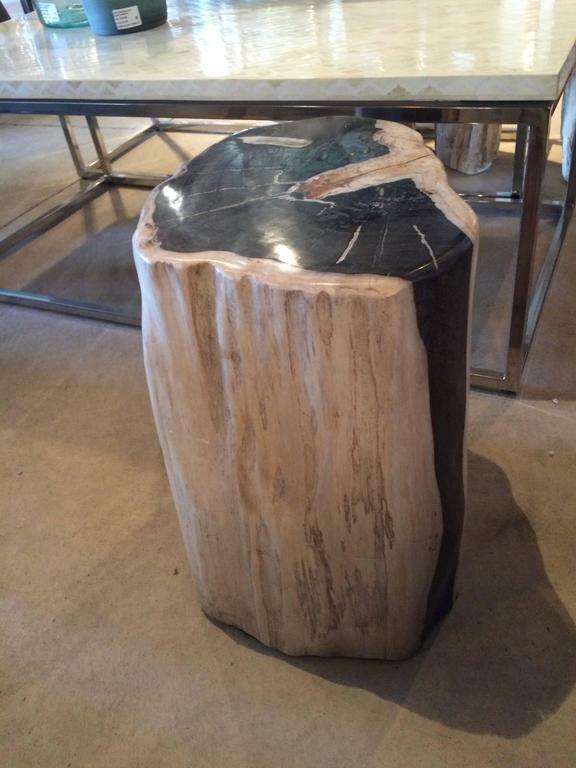 Sizes vary as do types of wood, for polished to those with sustaining bark and rough irregularities. Italian round brass table with leather top after Gio Ponti, a side or martini table with red leather top and brass studs and brass legs, many qualities and inspiration of Ponti. 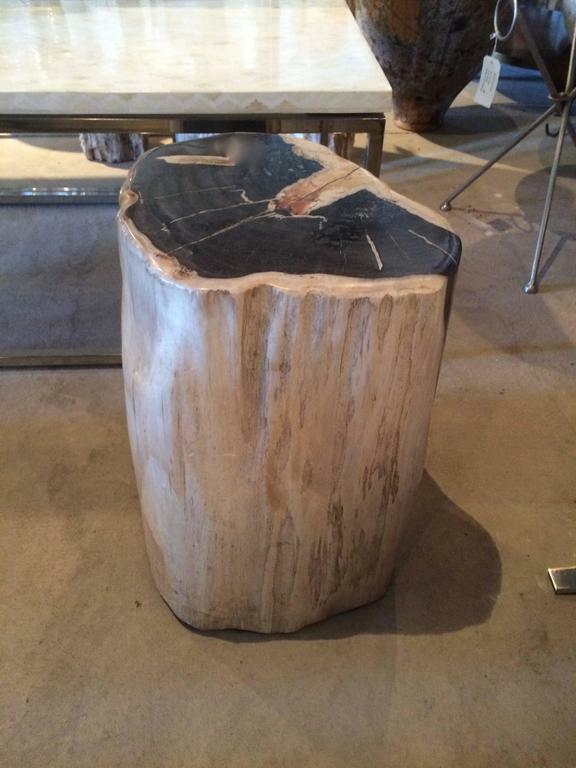 Pair of leafed side table’s great midcentury style with custom glass inserts on top of each piece. Could reverse paint the glass. 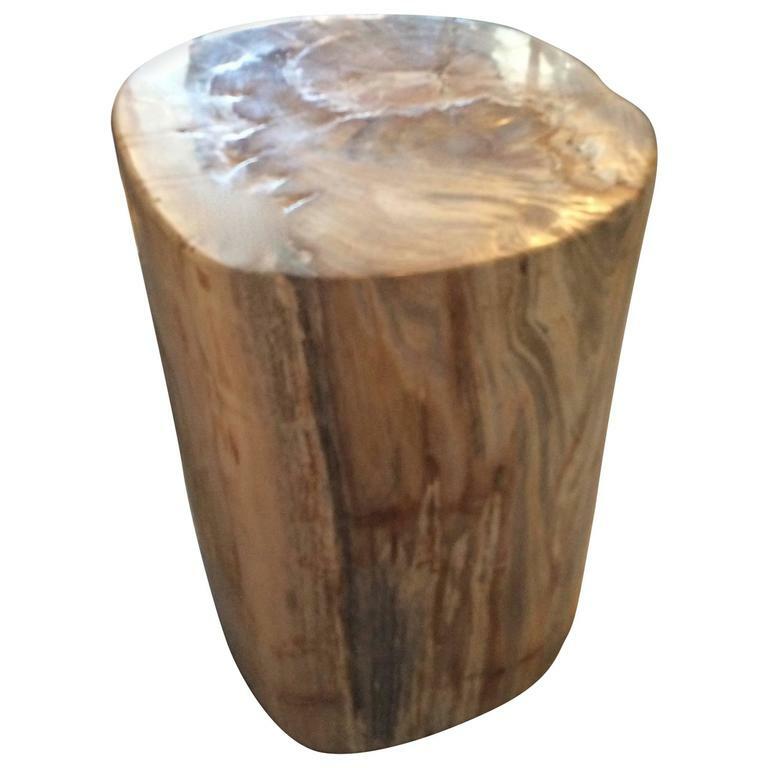 Pair of wood drum tables so popular we have put these in our line made to order with any finish available - Shown in ebony. 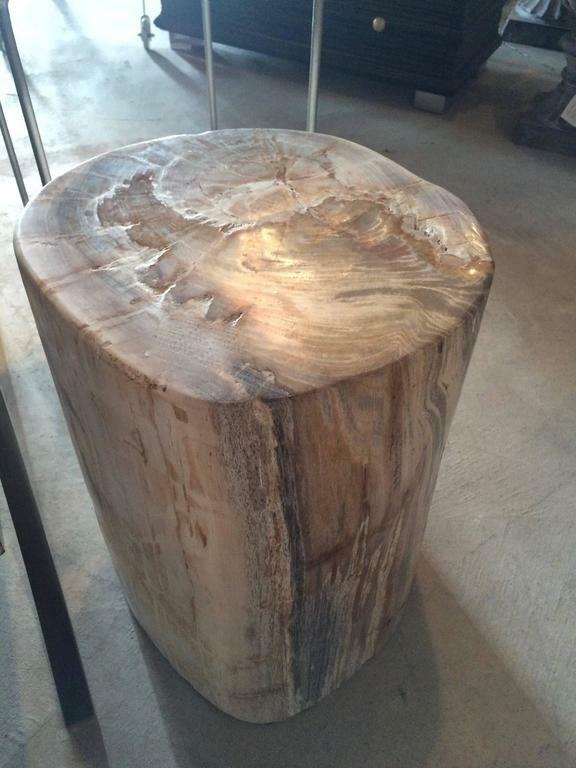 Great side tables or occasional tables.